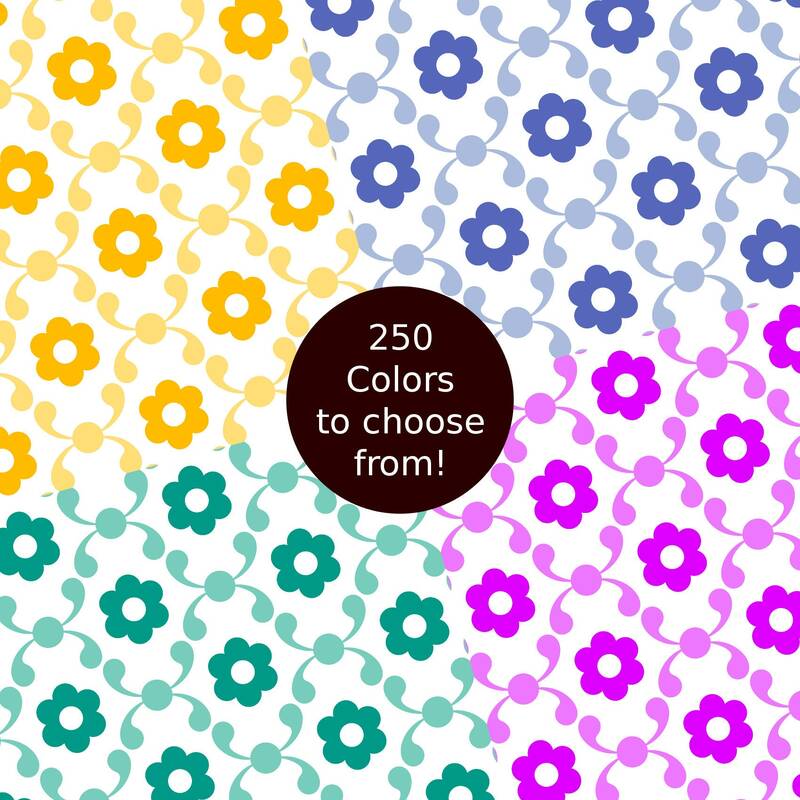 250 Colors Victorian Flowers Digital Paper Pack. 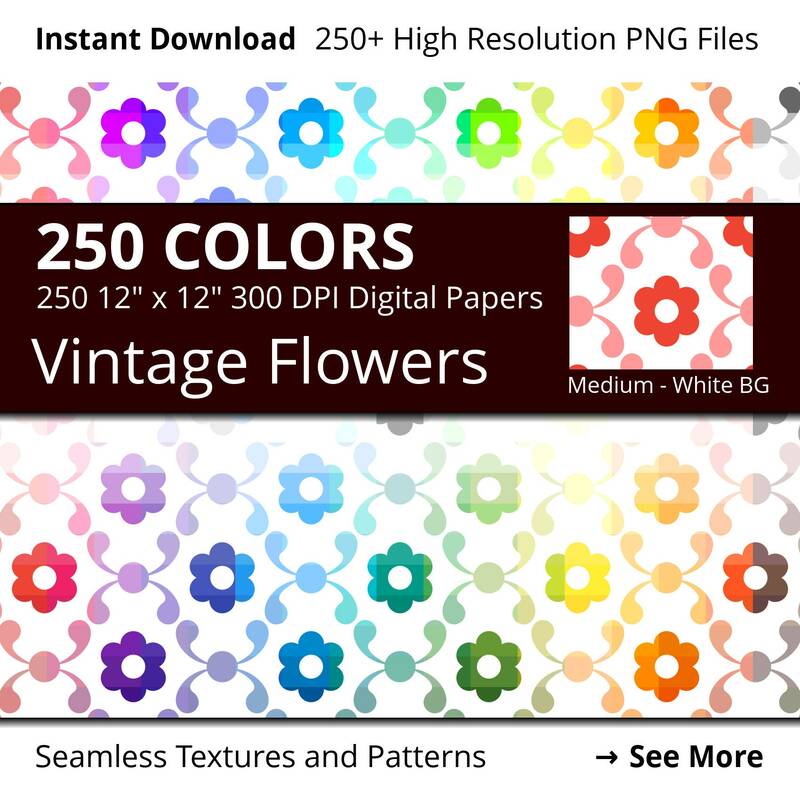 Huge bundle of 250 12" x 12" 300 DPI vintage floral digital papers. 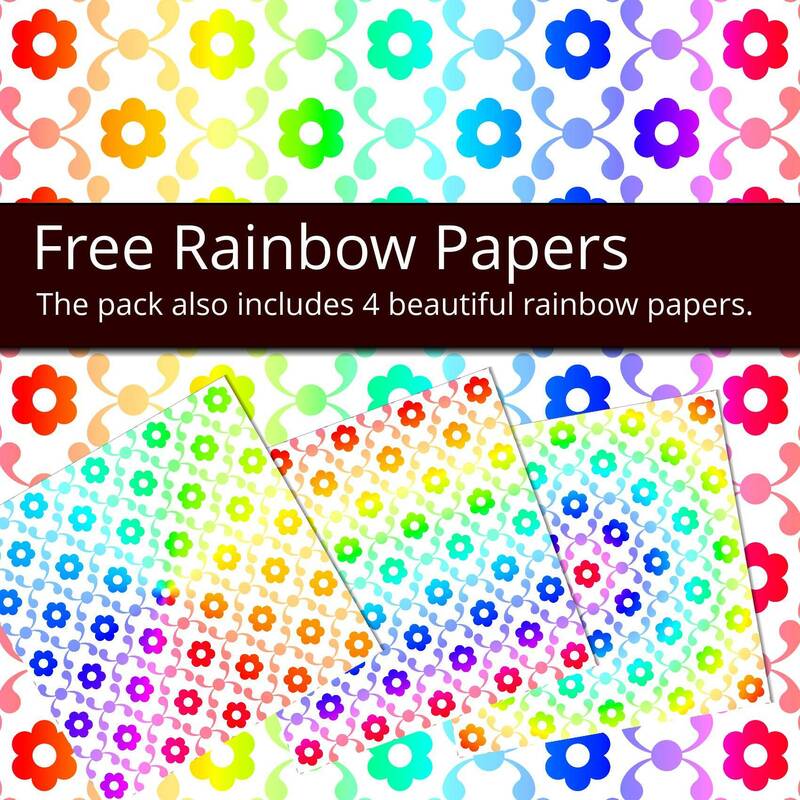 Printable Victorian flower scrapbooking paper with a 2 tones flowers pattern in all colors in the rainbow and more! Instant download with 250+ high quality and high resolution (300 DPI, 3600x3600 pixels) PNG files (one for each color). 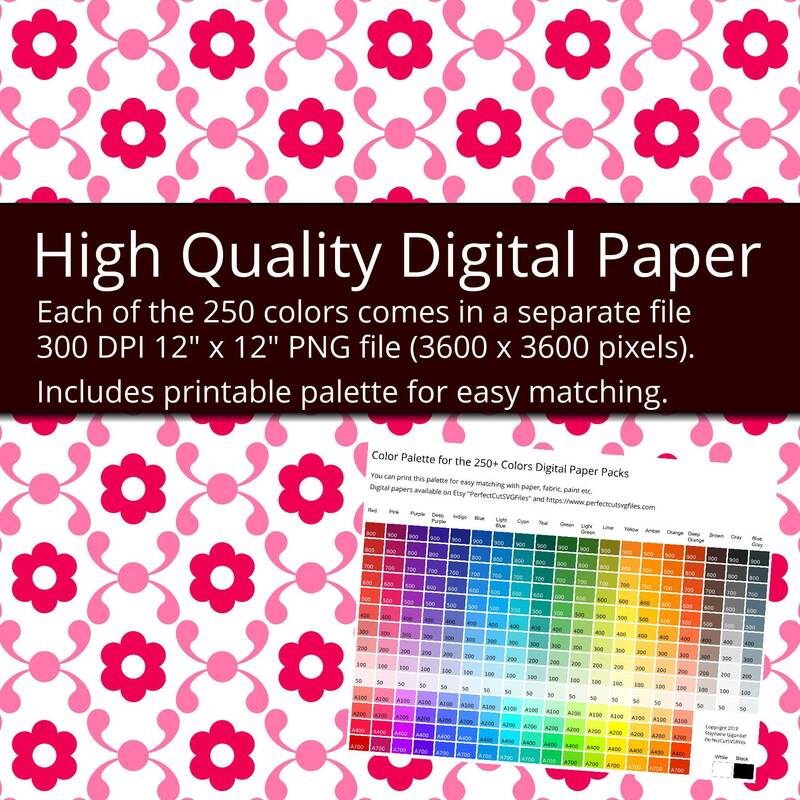 This 250 colors floral digital scrapbooking paper is perfect to print for your craft projects like scrapbooking and origami or to use as a floral background, flower backdrop or seamless texture in your digital projects. Personal use and Commercial use licence (see below for details). A beautiful floral digital paper pack with a flower pattern from an old French paper from the 18th century. The paper with this pattern was used to bind books in Paris in the late 1800s. - And many more! Don't forget to favorite the shop to find them again easily. 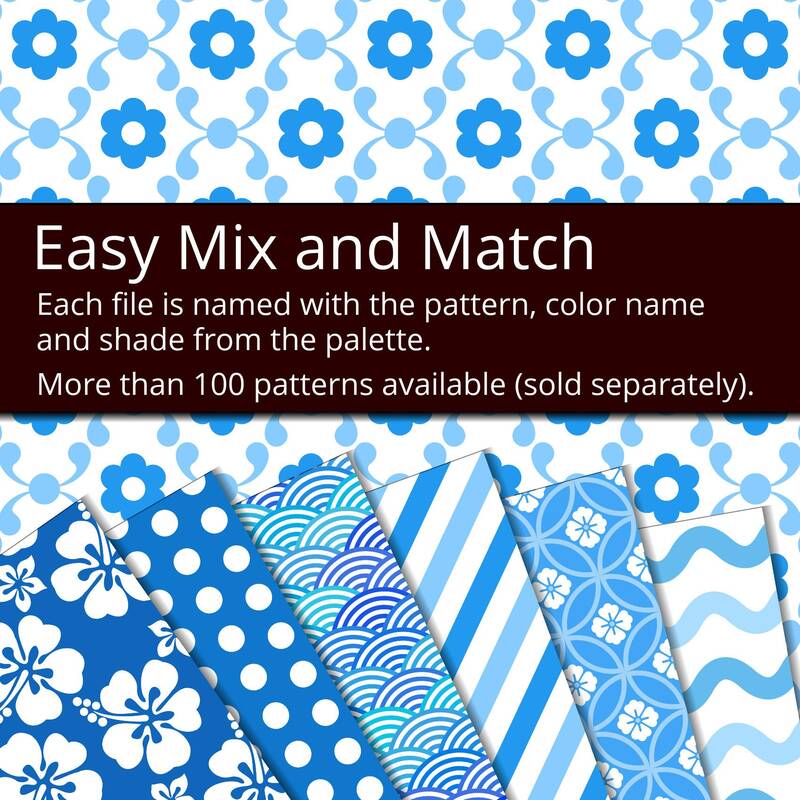 For your convenience, this floral digital papers pack also includes a printable color palette. You can use the color palette to quickly find the color you need, and you can also print the colours palette to see what color you will really get with your printer and ink (all printers are different and you will get different results based on paper and ink used). The color palette is also very helpful if you want to match the color of another paper, piece of fabric, shade of paint etc. Note on file format: I create PNG files instead of JPEG files because the PNG files can be loaded in all software that uses JPEG files, and they have a superior quality, with pixel perfect images. There is always a loss of quality with JPEG files as they use a lossy compression. JPEG is great for photos, but it is not a good choice for patterns as you will see noise / grains if you zoom. So if you have been using JPG files for clipart and digital paper, do yourself a favor and use PNG files instead. Downloads are available once your payment is confirmed. If you pay with PayPal or a credit card on Etsy, confirmation might take a few minutes. - This is a digital product, no physical product will be shipped to your physical address. Once you purchase it, Etsy will send you instantly an email (to the e-mail address you use with Etsy) with links to download the files. - Due to the nature of digital files, I unfortunately cannot offer refunds or exchanges. All sales are final. I hope you will be satisfied with your purchase. If you experience difficulties with the files, please contact me and I will do my best to help you. I strive for five stars customer service. The digital papers in this pack are for personal use and small business commercial use (see limits below for commercial use). You can create and sell physical items (limit: 500 items manufactured) and digital items (limit: 500 sales) with the digital papers. Credit is not required but of course always very much appreciated. You can incorporate the digital papers in your designs, but they cannot be sold as-is (in digital form or as printed papers, or on print on demand / POD sites). The digital papers cannot be used to create or sell other digital papers or textures. This commercial use licence is not transferable. No redistribution of any kind of the digital papers is allowed. All the included patterns, designs and files are Copyright 2018 Stéphane Gigandet. I would love to see what you do with my digital papers, so if you purchase and use this digital scrapbook paper pack, please leave an appreciation with a picture of what you made! Thank you! 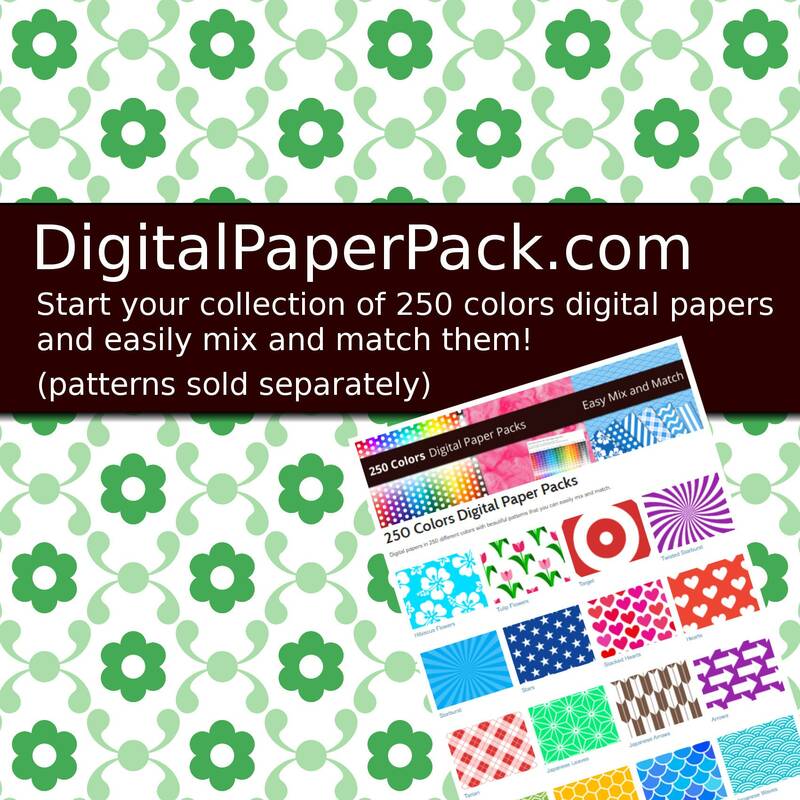 If you like this digital paper pack, have a look at my other matching digital scrapbooking papers. To fulfil your order, you must provide me with certain information (which you authorized Etsy to provide to me), such as your name, email address, postal address, payment information, and the details of the product that you’re ordering. You may also choose to provide me with additional personal information, if you contact me directly. Once you order, as soon as Etsy processes your payment (usually within minutes), Etsy will send you a link to download a ZIP compressed file that contains all the SVG, DXF, PDF, EPS, PNG and Silhouette Studio files listed in the listing description. How do I uncompress the ZIP compressed file? On most recent computers, Mac and Windows, you just need to double click on the ZIP file to open it. You can then move the files to another folder, or just uncompress all the files. You can also right click and then select "Extract all". How do I upload the SVG designs to Cricut Design Space to cut them with my Cricut machine? 1. First download and uncompress the ZIP file. The ZIP file contains files in different file formats (SVG, DXF, PDF, EPS, PNG and .studio3). 2. Launch Cricut Design Space in your browser and create a new project. 3. Click on "Upload" and then on "Upload Image" and "Browse". 4. Select the SVG file you want (depending on your computer and browser settings, SVG files might show as type "Google Chrome HTML document" or similar). 5. In the Upload page, your uploaded SVG designs will be in the "Recently upload images" section, select the designs by clicking on them. You can select multiple designs with Ctrl + click. 8. Click on "Insert Image" to put the designs in your project. How do I use the SVG designs with Silhouette Studio free edition to cu them with my Silhouette machine? You need to use the provide .studio3 files or the DXF files because the free version of Silhouette Studio does not support. In Silhouette Studio, just click on "Open" and then select the .studio3 or DXF file you want. How can I change the colors of the SVG designs before printing? With the provided SVG files, you can use a SVG editor to change the colors of the different layers. I recommend the free Inkscape software for Windows and Mac. You can select each layer, and choose the color. Then click on "Export" to save a PNG file with the design with your custom colors. I made a cool shirt, card, poster, sign, cup or other item with one of your SVG files, would you like to see it? Absolutely! It's always a great pleasure to see what you do with my SVG designs. They take a lot of time, care and love to make, but it's an awesome feeling to see them being used to make cool things! The easiest way to send me pictures of what you have done is to use the Etsy reviews, as you can easily attach a picture to your review. You can also send them to me by Etsy conversation or on Facebook. Thank you so much!